Topaz Electric EMT insulating 3-Piece coupling is ideal for use on rigid conduit. It has trade size of 3-1/2-inches. 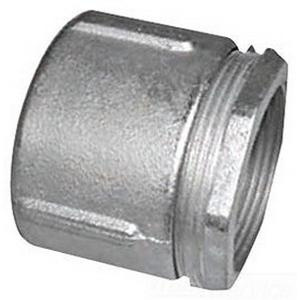 Coupling with threaded connection, has malleable iron construction for longer endurance. It measures 2.65-Inch x 5.35-Inch. Coupling is UL listed.